/BigMIND /Policies /What are the options that I can control using policies? 1. 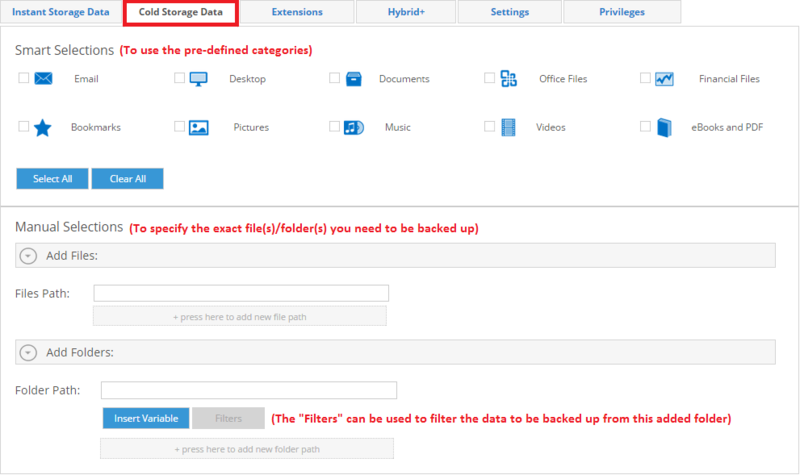 Instant Storage Data: From this tab, you can select the file(s)/folder(s) you need to back up to your Instant Storage. You can select from the pre-defind categories (Smart Selections), or use the Manual Add as in the following screenshot. 2. 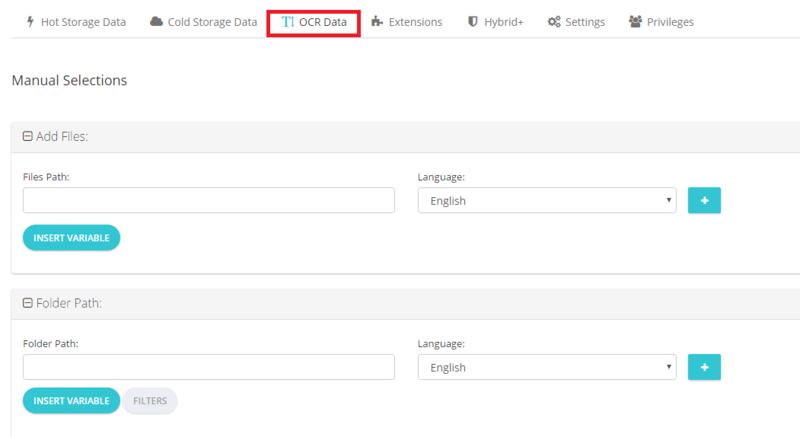 Cold Storage Data: From this tab, you can select the file(s)/folder(s) you need to back up to your Cold Storage. You can select from the pre-defind categories (Smart Selections), or use the Manual Add as in the following screenshot. Edit (add/remove) the VSS extensions. Edit (add/remove) the Block Level extensions. Edit (add/remove) the Smart Selection extensions for eBooks, PDF, office files and financial files. Use the Global Exclude to add the extensions of the files which you want to exclude from the backup of all the users. 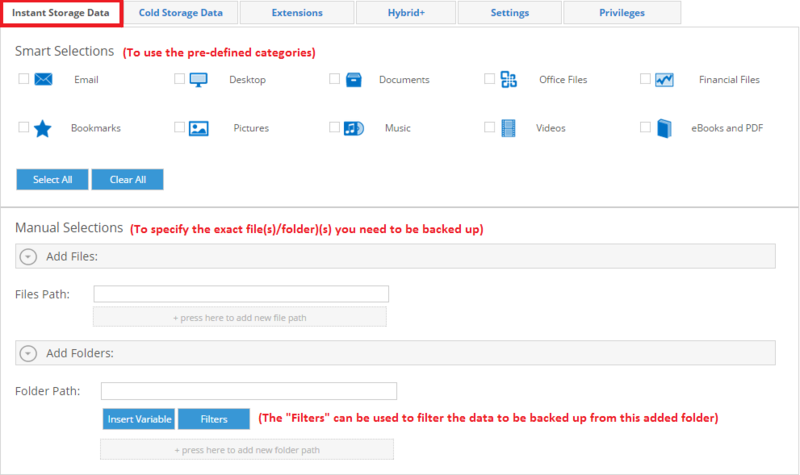 Use the Exclude by Folders to add the folders which you want to exclude from the backup of all the users. 4. Hybrid+: From this tab you can enable/disable the Hybrid+ feature for all of the users. Enable/disable Windows context menu integration. Start/do not start Zoolz when the computer starts. Generate/do not generate JPG images preview. Allow/prevent the user(s) to set encryption password for their backup. 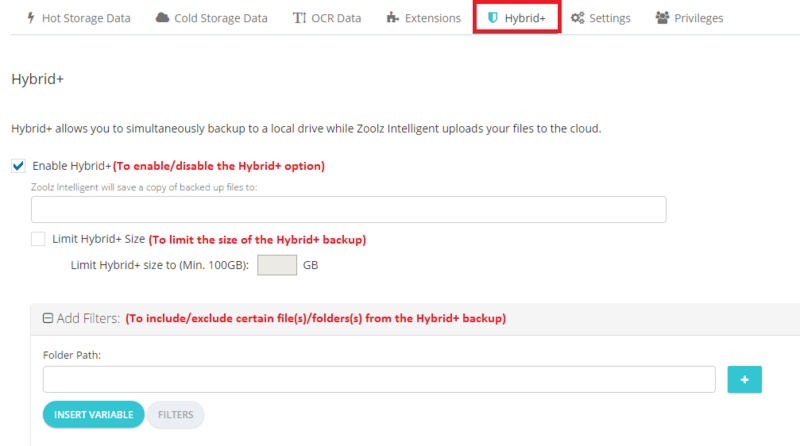 Set the Backup Schedule, to specify when to run the backup of Zoolz, and to change the frequency at which the Block Level files will be backed up. 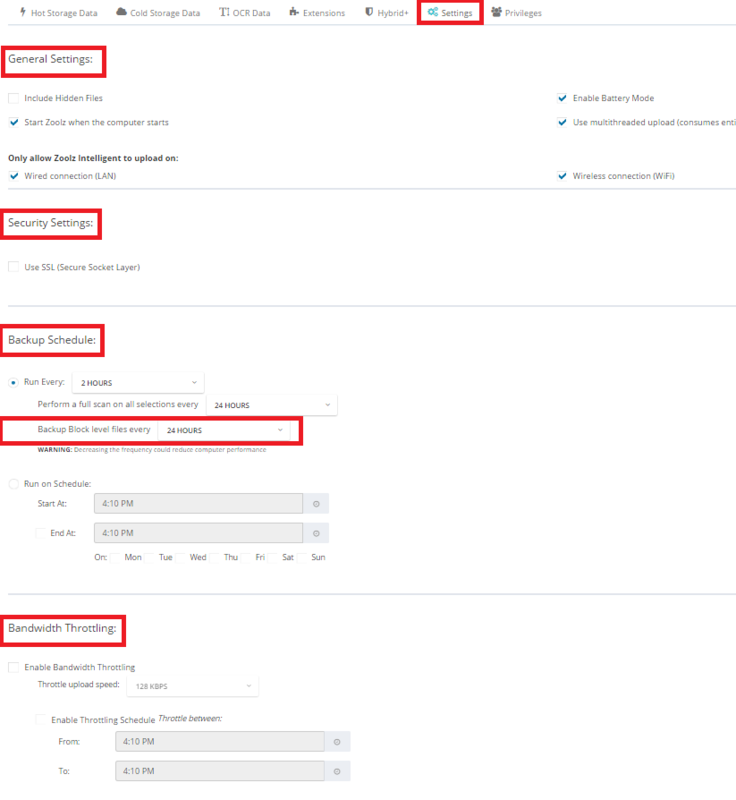 Enable/disable the Bandwidth Throttling, and schedule it if needed. Enable delete data: Using this option, you can specify whether you want to allow the user(s) to delete any of their backed up files (from their online accounts) or not. Enable Sharing: Using this option, you can specify whether you want to allow the user(s) to share any of their backed up files or not. Allow the ability to edit sign in email: Using this option, you can specify whether you want to allow the user(s) to edit their account’s emails or not. Allow the ability to change password: Using this option, you can specify whether you want to allow the user(s) to be able to reset their passwords by themselves or not. Allow the ability to edit username: Using this option, you can specify whether you want to allow the user(s) to be able to edit their usernames or not. 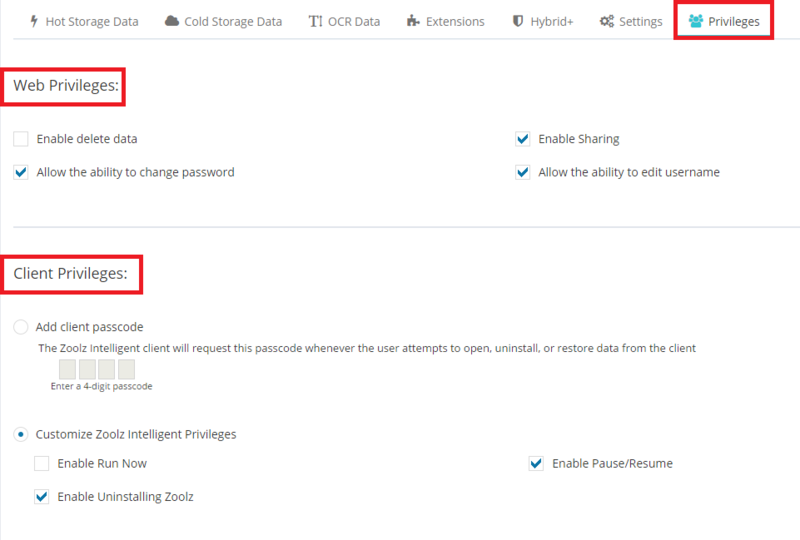 Add client passcode: Using this option, you can set a passcode that the user will need to enter whenever he/she tries to open Zoolz software (client) which is installed on his machine. Enable adding file/folder from context menu and Enable Uninstalling Zoolz. 1. 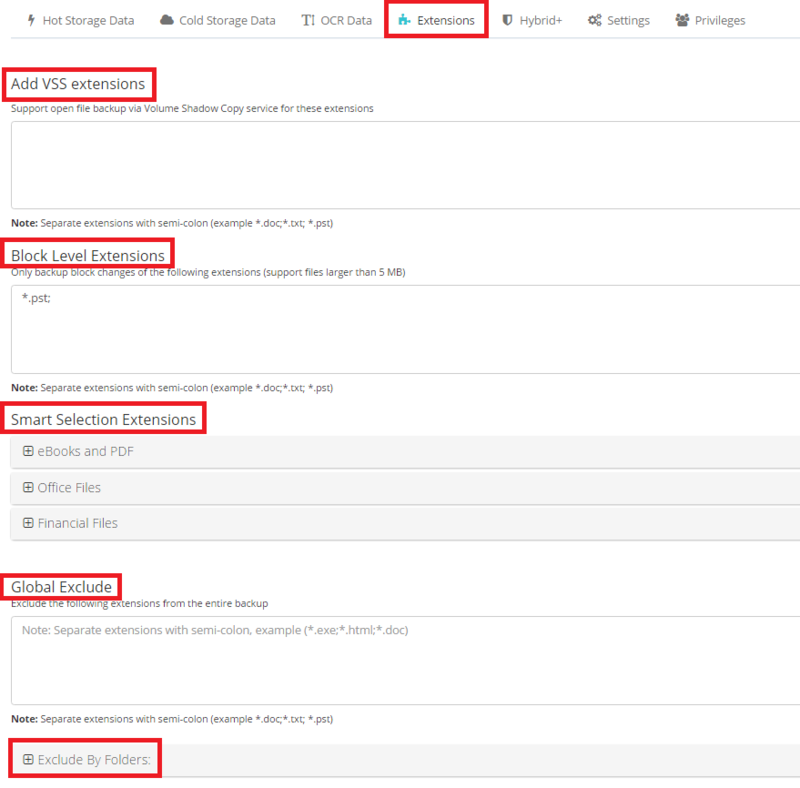 Hot Storage Data: From this tab, you can select the file(s)/folder(s) you need to back up to your Hot Storage. You can select from the pre-defind categories (Smart Selections), or manually select the wanted files/folders as in the following screenshot. 2. Cold Storage Data: From this tab, you can select the file(s)/folder(s) you need to back up to your Cold Storage. You can select from the pre-defind categories (Smart Selections), or manually select the wanted files/folders as in the following screenshot. 3. OCR Data: Select the files you want to backup using OCR, and the language for the files. 5. 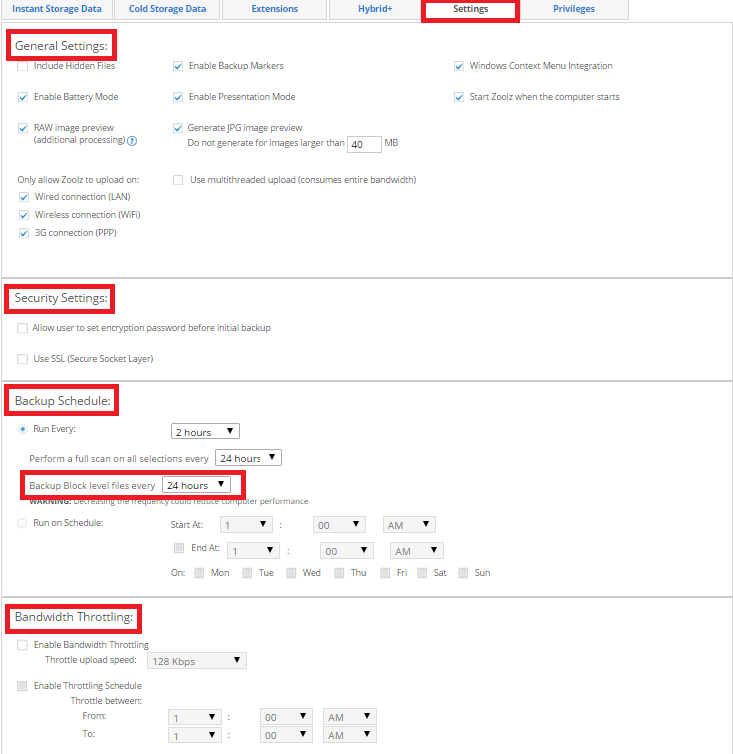 Hybrid+: From this tab you can enable/disable the Hybrid+ feature for all of the users. 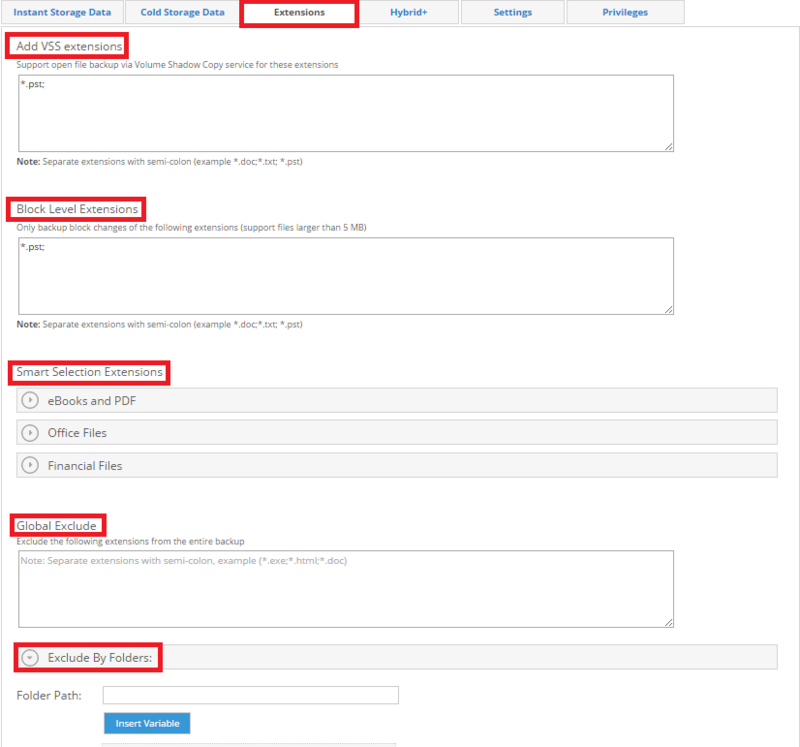 Set the Backup Schedule, to specify when to run the backup of BigMIND, and to change the frequency at which the Block Level files will be backed up. Add client passcode: Using this option, you can set a passcode that the user will need to enter whenever he/she tries to open BigMIND software (client) which is installed on his/her machine. Allow the ability to exit BigMIND. Enable adding file/folder from context menu and Enable Uninstalling BigMIND.